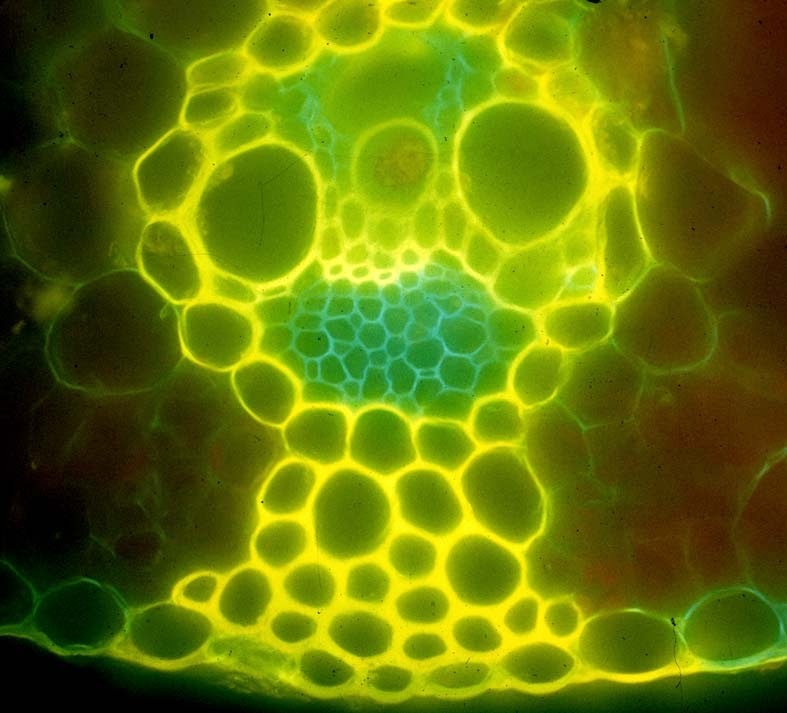 The surface of plants (with a few exceptions, such as those that live submerged under water) is covered with a tough, transparent, waxy layer called the cuticle, composed of cutin secreted by the layer of epidermal cells that it covers. 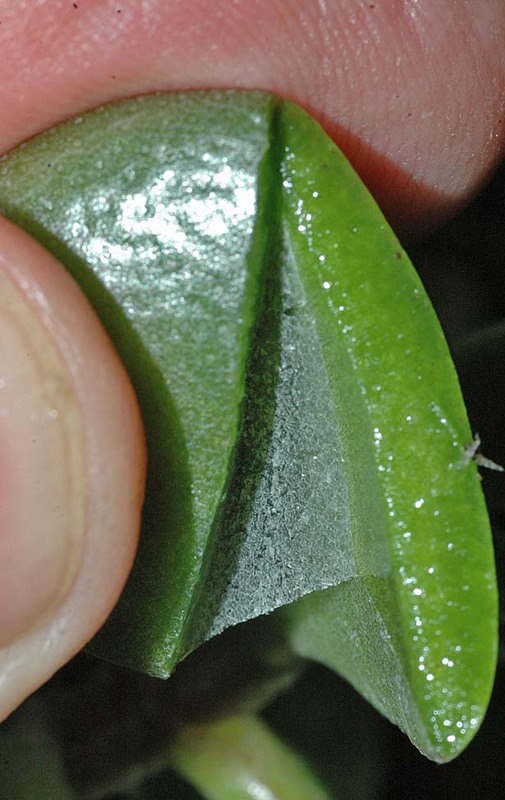 The best way to see the cuticle is to snap the leaf of a drought-adapted succulent plant like Crassula ovata and pull one part of the leaf against the other, peeling away the cuticle, which covers the above ground parts like a wrapping of cling-film. 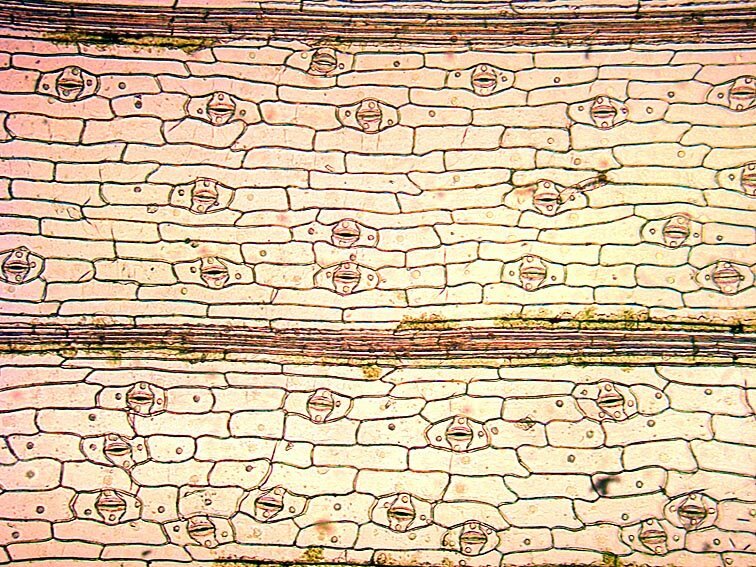 ...... stomata, which allow carbon dioxide to enter for photosynthesis. 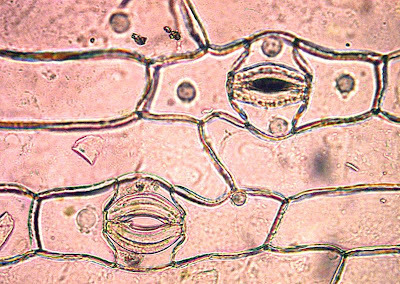 The two images above are of cuticular peels of spiderwort Tradescantia virginiana. 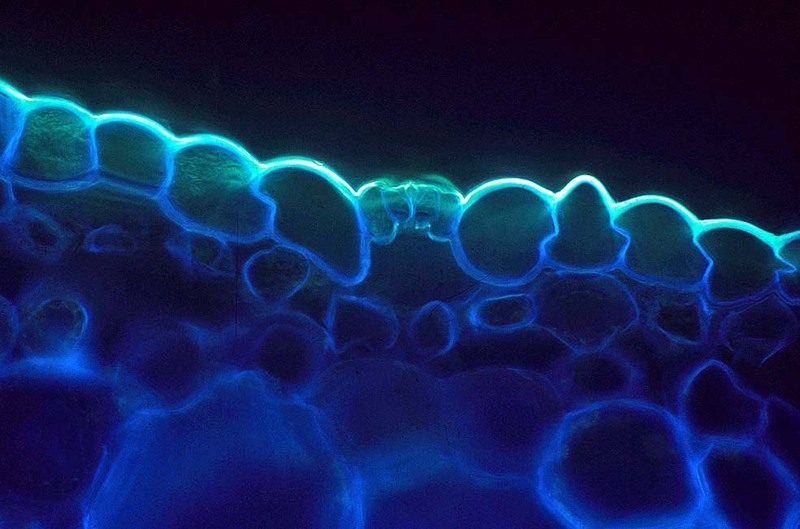 In this vertical section of a leaf, stained with fluorescent dyes, the cuticle appears as the bright yellow layer on top of the epidermal cells. 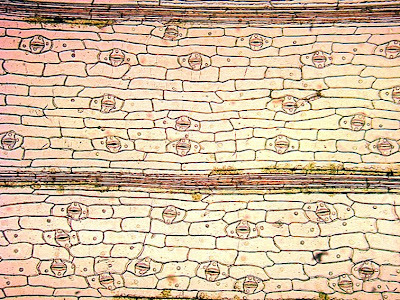 In the centre you can see a single stoma in vertical section, with closed guard cells and its adjacent subsidiary cells, with a sub-stomatal cavity below leading to the loosely packed mesophyll cells, where photosynthesis takes place. 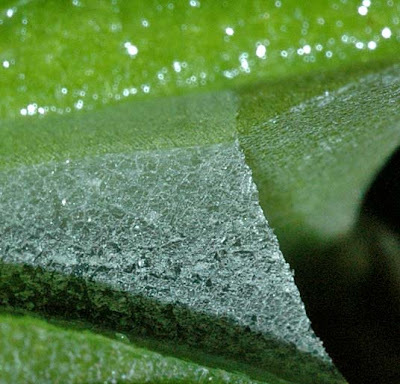 The cuticle has a dual function - keeping water in and keeping the leaf surface dry. 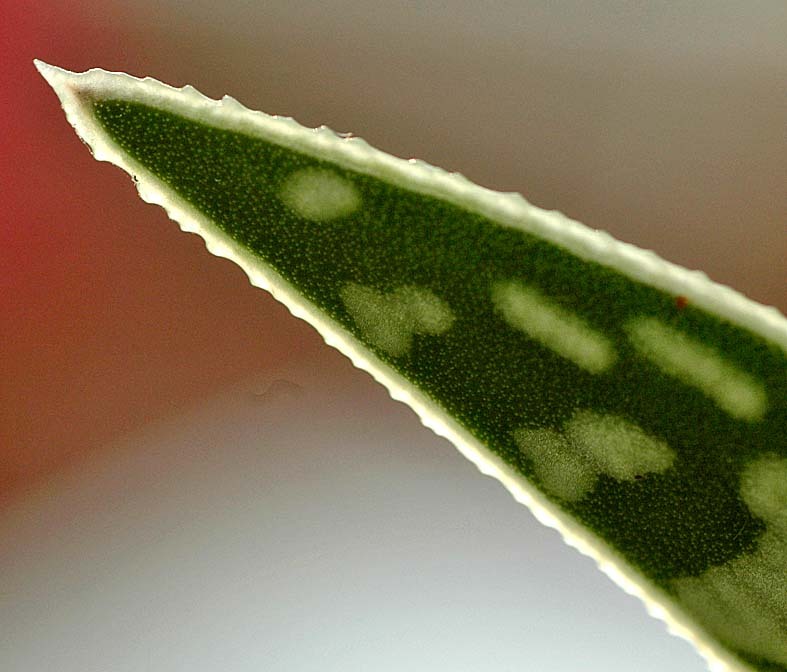 In plants adapted to arid conditions (xerophytes), like this Aloe variegata , the cuticle is visible as an extremely thick transparent layer that allows very little water to escape from the leaf. In plants that are subjected to frequent rainfall, like this nasturtium Tropaeolum majus leaf, fine grooves in the cuticle surface trap air below the water droplets, which then round-up under their own surface tension and simply roll off the leaf when it shakes in the wind. 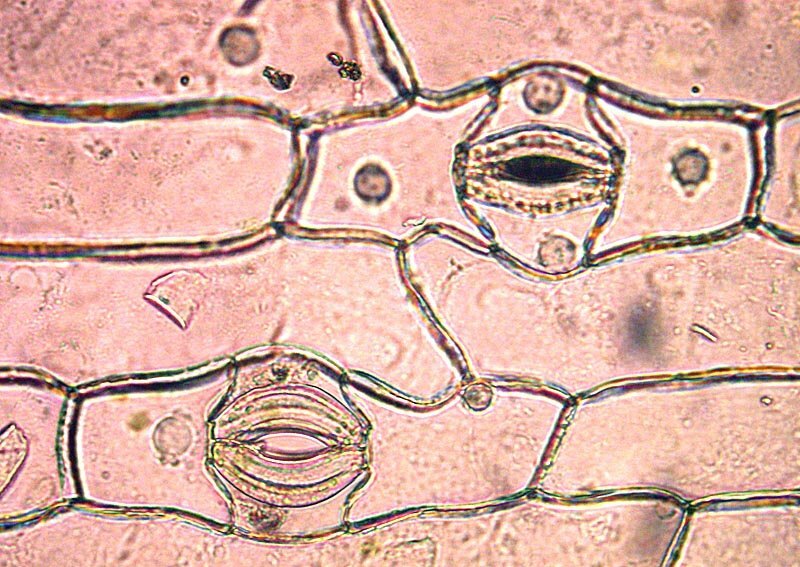 This is vital, as a wet leaf surface blocks stomata and prevents carbon dioxide from entering, slowing down photosynthesis. 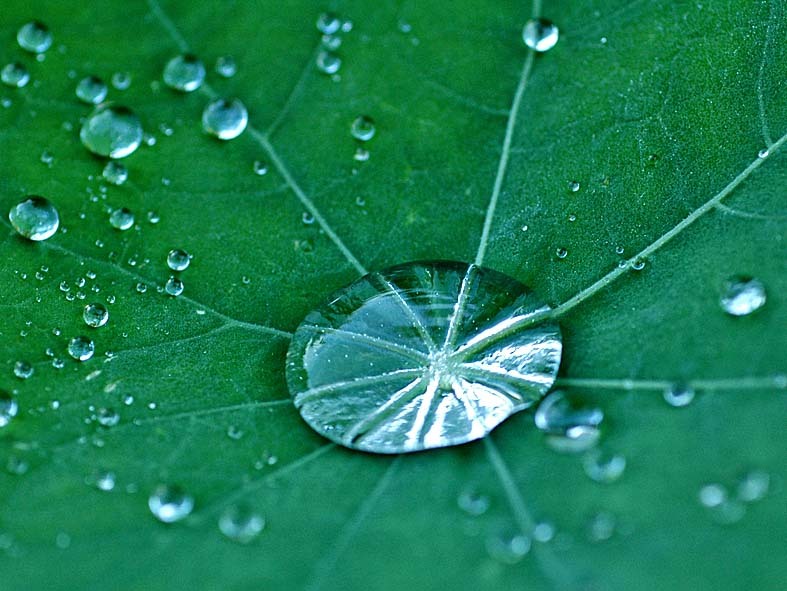 As the water rolls off the leaf it carries away dirt and dust, so the leaf cuticle is effectively a self-cleaning surface - a phenomenon known as the 'lotus effect', referring to the extremely hydrophobic self-cleaning leaves of sacred lotus. The silvery area under the central water droplet in the image above is caused by minute air bubbles, trapped between the water and the leaf surface. 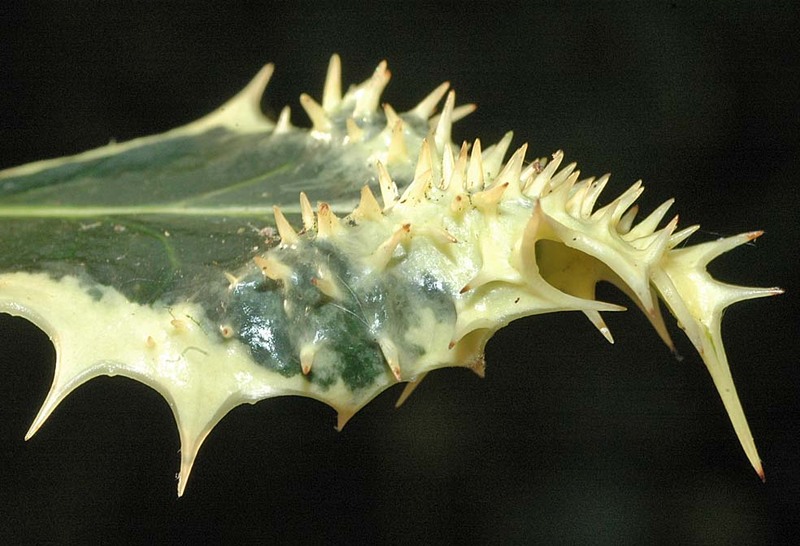 The cuticle can also have a secondary defensive role, as seen in this painfully prickly leaf of the hedgehog holly Ilex aquifolium 'ferox', which is covered in cuticular spines. In general, leaves of evergreens, that survive for several years before they are shed, tend to have thick cuticles that protect the leaf against herbivore attack throughout their extended life. 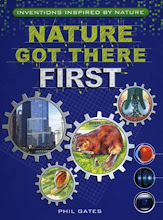 Beautifully informative, in a way my botany book can only dream about. Thanks Alan, I guess the web gives space and potential for adaptable presentation that paper-based publications never can! great description on cuticle. thank you very much. it prepared me well for my exam. 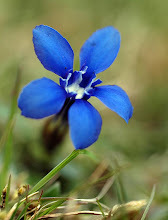 I'm pleased that you found it useful for your studies Govher. Wishing you every success with your studies, Phil.